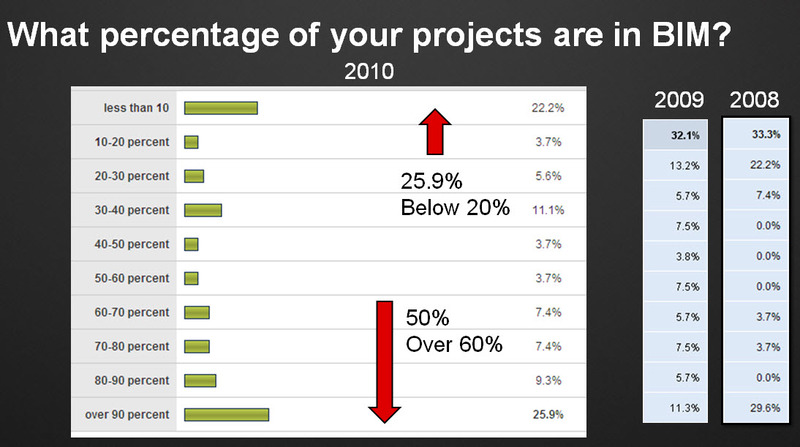 The 2010 BIM Survey that I undertook was to prep for a class and to just see what the industry was doing. 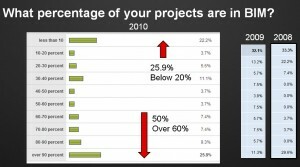 One of the questions I wanted to address was related to the percentage of projects that firms had in BIM. I wanted to find out not just how many, but how much of their work was actually being done in BIM. The results showed that in 2010, a little more than 25% of the users responding showed that they were working less than 20% of their projects in BIM. So if we think about 100 firms that would mean that 25 of them had less than 20% in BIM. Comparing all this to 2009 and 2008, I see steady rise in projects moving toward BIM. Back when I was developing my BIM Manager class for Autodesk University 2010 I invited you to participate in a survey to collect data for the class. Over the next few posts I will share some of the data collected and my thoughts on that data. My purpose was to collect real data from real world users across the spectrum of firms. the survey was in three parts and had 196 respondents. The three surveys covered the position, your training efforts and the final one covered software and projects. 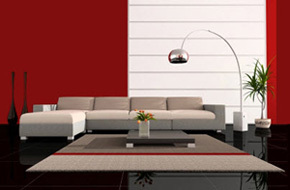 The surveys were opened on October 26, 2010 and closing on Nov. 13, 2011. I used SurveyMonkey to create and collect the data. After collecting the data I compared it to my 2008 and 2009 surveys on the same topics to see if there were trends or marked changes in responses. Compiling the data prior to my presentation at AU was done and it became a large portion of my class. The class did not present all of the data due to time restrictions, so I will be including some that was not presented. Please stay tuned as I present my findings.